At B&D Plastics, LLC, our dual-laminate expertise is not limited to storage tanks. 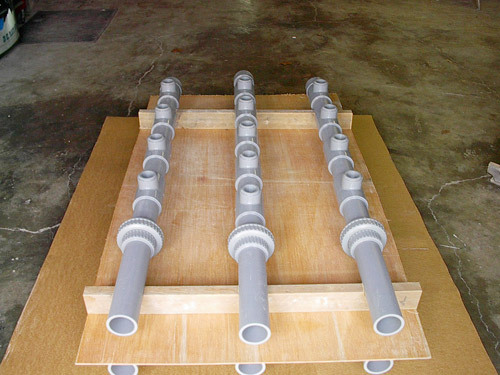 We provide our top-quality dual-laminate process to piping and ductwork. 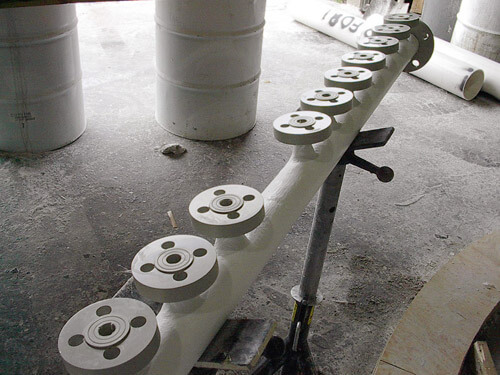 Our work ensures corrosion-resistant piping and ductwork specifically tailored to your needs. 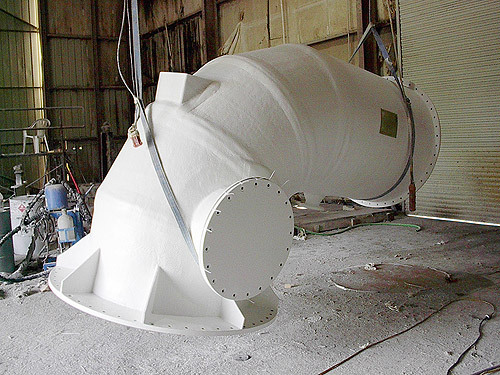 Whatever your chemical environments, we have the right pipe ducts and covers for you. Working with a variety of components—contained vents, pump headers, specialized piping, and others--we'll provide exactly what you're looking for. Our thermoplastic liners and reinforced plastic shells are strong, resistant, and of the finest quality, using standards such as the ASTM D3299, ASTM D4097, PS1569 and ASME RTP-1. With our knowledge and commitment to quality, we’ll provide the most economical, efficient answer to your needs. Please contact us with any questions, and see below for details. Copyright © B&D Plastics LLC, 2019. All rights reserved.